Fans who attended Tom Petty and The Heartbreakers’ abridged gig at the Fonda Theatre will get a full refund. Petty and his band were 90 minutes into their two-hour show Saturday when the fire marshal decided there were too many people on the main floor of the 1,300-capacity venue in Hollywood. The rocked disputed the Fire Marshal’s judgment, but he didn't fight it. The following night at the same venue, Petty told the audience. "We had to quit a little early last night,” Billboard reported. "I don't like to assign blame, but it wasn't me. I'm absolutely sure we're going to work this out. If I have to pay it myself, everyone will be reimbursed." Petty has stayed true to his word. 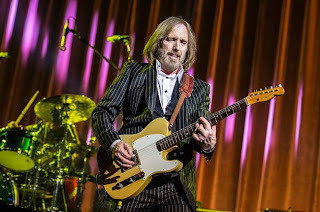 In a statement, Tom Petty and The Heartbreakers and promoters have announced that full refunds for the June 8 show are available at the point of purchase. Ticketmaster has also agreed to refund all its incurred fees.